I knew it was going to be a long day. First there was the pre-dawn wake up to check if the sunrise was worth shooting. It wasn’t, but once I’m up, I’m up. I got Jeremy to the Park-n-Ride just as the bus was pulling in. Six hours at my skate ski program gave me my cardio workout for the day. Then there was a photo shoot to finish before heading down to Boulder to attend a 3-hour avalanche safety lecture. By the time Jeremy and I were walking to the front door of the house, we had about an hour left before midnight. I looked up at our clear night skies, sparkling with a spray of stars, and suddenly remembered, “There’s supposed to be a comet in the sky!” The excitement of the comet trumped our exhaustion and we dutifully looked up star charts and stood on the deck guessing at where the comet should be. 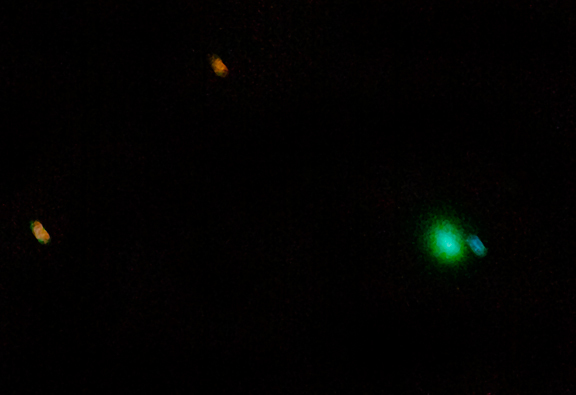 It was too faint for us to view with the naked eye, but the camera was able to pick it up. Astronomy makes an excellent highlight of the night. But let me tell you about my highlight of the day. My ski program involves breakfast, 2 hours of skate instruction, lunch, and then 2 more hours of skate instruction. When I did the telemark ski program several years back, you could eat pretty much anything and still telemark ski. Not so with skate skiing. Because it’s so cardio-intensive, I avoid eating much before skiing. By the time I get home at 3 pm, I am ready to eat my ski boots. However, I had leftover soup in the refrigerator just waiting to be heated and devoured. Hot and hearty split pea soup after being out in the snow is a welcome thing. 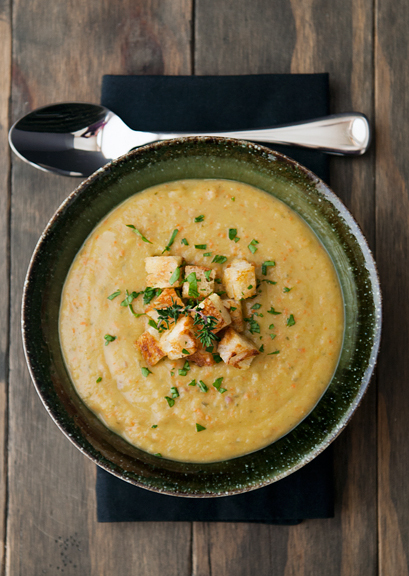 It’s easy to be a soup lover year round, but winter in Colorado is the king of soup season. 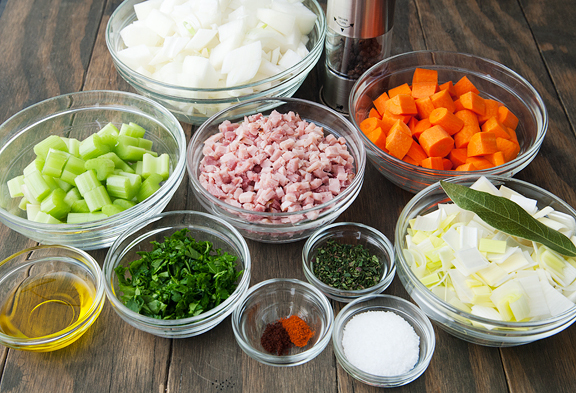 Making soup warms your house, filling it with comforting aromas. Eating soup nourishes and heats your body. I have dozens of great recipes that go into rotation when the snow starts to stick in the mountains, but there exists a never-ending desire to add more delectable soups to that collection. Split pea soup appealed to me as a one-bowl meal – something wholesome and easy to reheat after hours of skiing. I’m the person who doesn’t buy a spiral ham before the holidays, but rather after the holidays when they go on sale. Then I like to save ham bones in the freezer for making bean soups. But whenever I visited the bulk dried beans section of my local Whole Foods, I was always dazzled and distracted by the bin filled with brilliant green split peas. They are just so pretty (I am partial to the color green). I placed a mental sticky note in my brain that read: Do something with dried split peas. Also, use pressure cooker. Start the soup by simmering the peas and ham bone (or ham hocks) in water for 90 minutes. This creates a flavorful broth and cooks the peas to a soft and delicate state. I did all of this in much less time using my pressure cooker (cook on high for 6-8 minutes, then allow natural release). Either way is fine. If you do use a pressure cooker, you might want to add a tablespoon of olive oil to the liquid to break down the foaming that can occur. The ham bone or ham hocks might have enough fat on them that the olive oil isn’t necessary, but my ham bone was on the lean side and I didn’t want foam and pea bits spitting out of the pressure cooker vent. Soaking the peas ahead of time is neither necessary nor recommended. 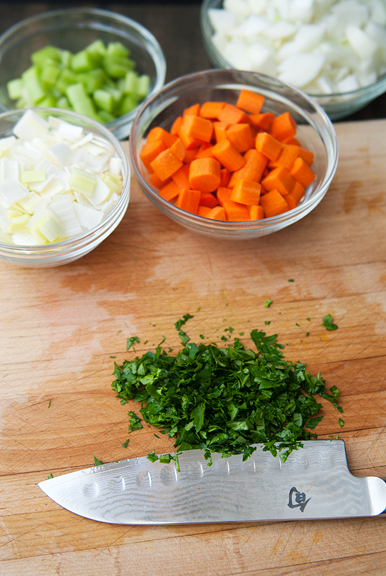 While the broth and peas are doing their jobs, sauté the vegetables. 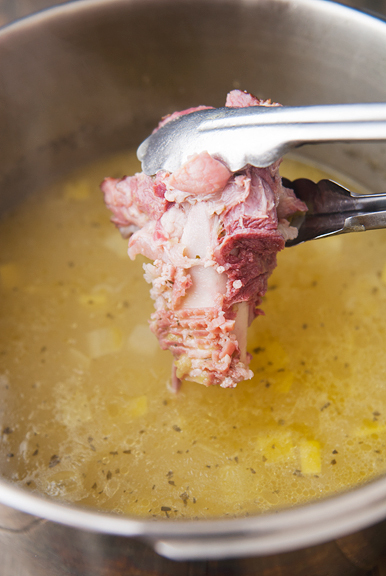 After the broth is done, remove the ham bone or ham hocks, pick off any meat and dice it. My ham bone didn’t have much ham on it, so I diced an extra cup and a half of the ham. The vegetables and spices go into the broth and simmer another 20 minutes before adding the parsley (removing the bay leaf) and puréeing the soup. 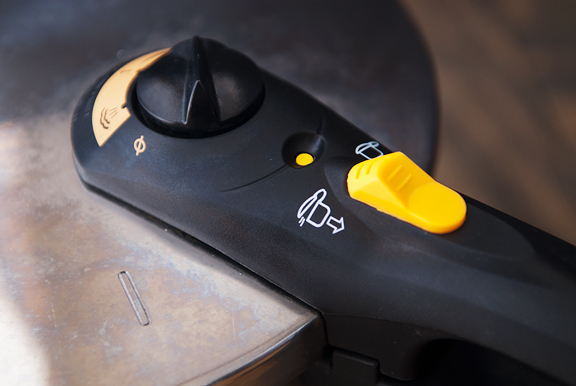 You can make it smooth or chunky, but the job is easiest with an immersion blender. 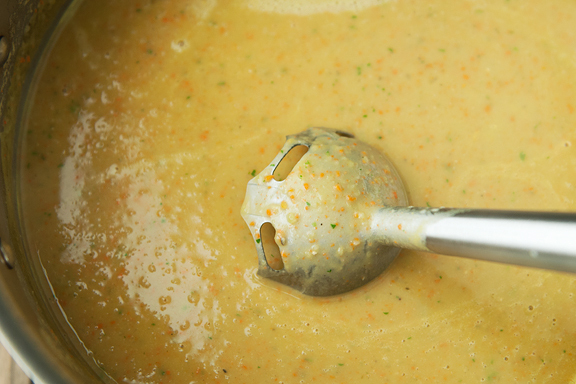 A messier and potentially more dangerous alternative is to purée the soup in batches in a blender or a food processor. I’ll just note that my whole motivation for purchasing an immersion blender was because I got quite tired of wiping exploded soups off of my kitchen ceiling and well, my entire kitchen. When all is said and puréed, stir in the ham. and don’t forget the ham! 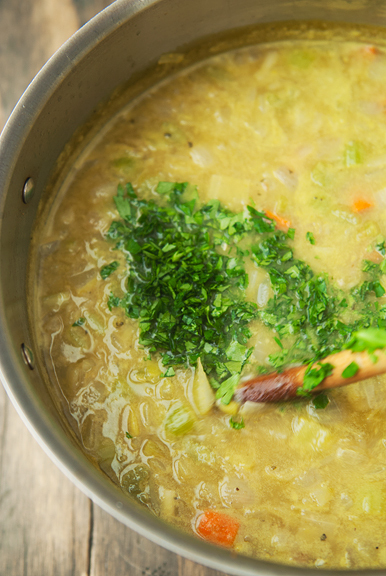 A spoonful of this split pea soup does a fine job of putting the kibosh on any empty tummy grumbling. 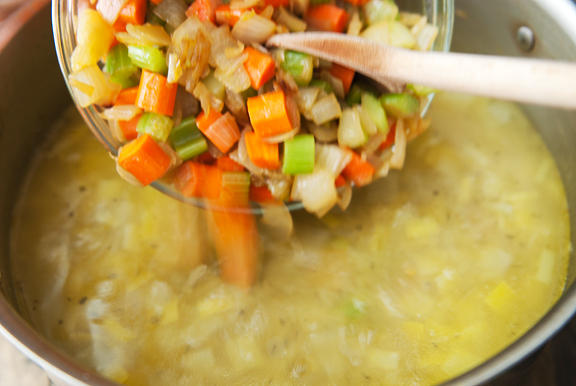 It’s a thick and dense soup as soups go, but if you prefer something soupier, thin it with some water. If your soup wound up too thin (hey – water evaporates at different rates in different conditions and climates – you must respect the physics!) then simmer it a little longer and let the liquid boil off. As for flavor, I thought it tasted fine at first – because I was hungry. Then I decided it could use a little more salt and a big squeeze of lemon juice. The acid helped brighten the flavors and elevate the otherwise flat-ish peas. Good soup. 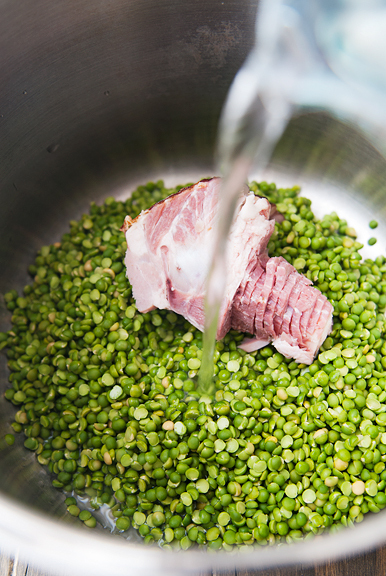 Rinse the ham hocks (or ham bone) and peas with water. Place the ham hocks (or bone) and peas in a stock pot or pressure cooker with 15 cups of water. Bring the water to a boil over high heat and skim off any foam that forms. 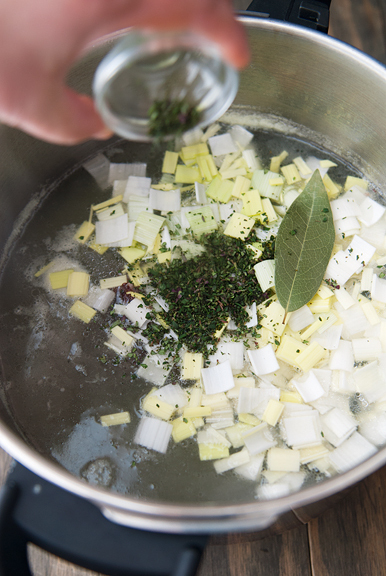 Reduce to a simmer and add the leek, thyme, and bay leaf. If using a conventional stock pot, simmer for 90 minutes. If using a pressure cooker, add a tablespoon of olive oil to the water (to prevent excessive foaming) and cook on high for 6-8 minutes (Level 2 on my Fagor Duo pressure cooker) and then allow to release naturally. Meanwhile, in a large sauté pan or stock pot, heat 1 1/2 tablespoons of olive oil over medium high flame. Sauté the onions with 1/2 teaspoon of salt for 5 minutes until they brown around the edges. Reduce the flame to low and cover the pan, stirring occasionally until the onions become tender (about 15 minutes). 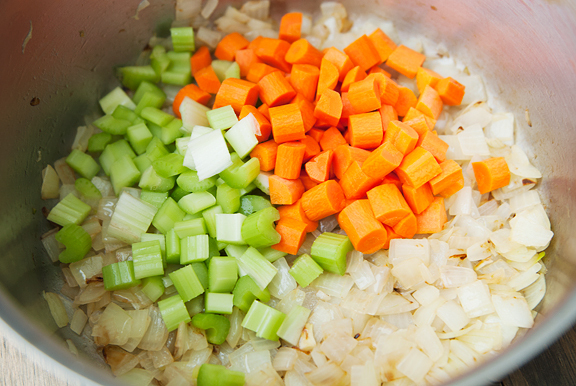 Stir in the celery and carrots, cooking them for about 15 minutes with an occasional stir to prevent burning. When the ham and peas are done cooking, remove the ham hocks or ham bone to a plate. Place the sautéed vegetables in the soup (including any scraped brown bits from the pan). 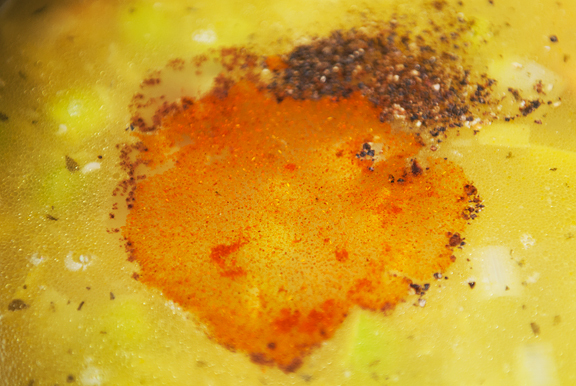 Stir 1 teaspoon of salt, 1/2 teaspoon black pepper, the ground cloves, and the cayenne into the soup. Simmer the soup for 20 minutes. While that simmers, remove any meat from the ham hocks or ham bones and dice it. My ham bone didn’t have a lot of meat, so I chopped some ham slices (not deli, but spiral ham or country ham) to make up for it. Turn off the heat on the soup and discard the bay leaf. Stir in the parsley. 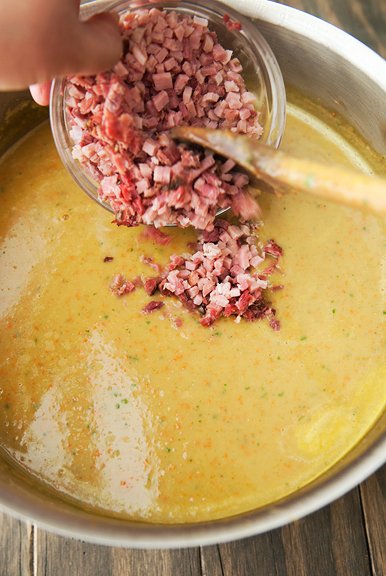 Using an immersion blender (or you can blender your soup carefully in a regular blender or a food processor in batches), purée the soup until smooth (or slightly chunky – I like chunky). Add the meat to the soup and simmer for 10 minutes. Add a squeeze of lemon juice (or more) to taste. Serves 8. Yum, perfect meal for this below zero day. And I have everything needed on hand. Does it get any better? Thanks for the dinner suggestion. My usual store has been out of split peas for over a month, but now I really need to get to another store for them. The ham bone has been waiting in the freezer and is getting lonely. If you are vegetarian and want to leave out ham and bone would you add anythingn else for flavoring? I love split pea soup! A great alternative to lemon for brightening split pea soup is prepared horseradish. It adds a slight bite that is most welcome. Split pea soup is one of my favorites. When I was a child, my Mom used to make it more attractive to kids by using just the ham bone and the rest of the ingredients in your recipe but added some 1/4 inch sliced hotdogs at the end. We loved it! For Kiki the vegetarian, buy a box of GOYA Ham Flavored Concentrate. The box has small bouillon type packets that you can add to taste. I use it when I don’t have a ham bone, pretty good. Thanks Jennifer, I’m always looking forward to your emails and wonderful recipes! I looove split pea soup, but haven’t found a good recipe. Adding leeks and sauteed veggies has got to make this a great one! I love split pea soup. When I was working, the cafeteria offered split pea soup on Thursday and that was the day I went there to get my soup and salads. Never tried to make it myself. Now I have more time, I should make it and this recipe seems easy to make. Thanks a lot. Mmmmm, one of our favorite soups too! I have a ham bone in the freezer calling me! 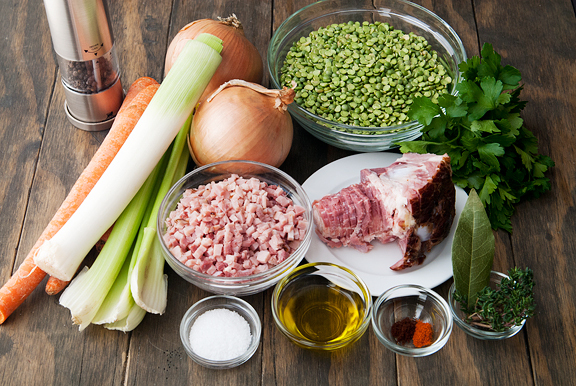 It’s always a problem when I have a left over ham bone – pea soup or white bean soup? This time I have a new pea soup recipe to try!! Sara – this makes me so happy that I’m not the only one who squirrels ham bones away in her freezer. kiki – I think you could try using a vegetable broth base and then perhaps adding a little (like a teaspoon?) ground up dried porcini mushroom, or some miso paste for the umami? Or just skip those and stick with vegetable broth. Hope that helps. Rebecca – oh yes, I love me some horseradish with ham. Great idea! Cristina – interesting, I’ve never heard of ham flavored concentrate :) You’re welcome! Kristin – I really like how this one is loaded with vegetables. It’s so satisfying, too. Lisa – I think you’ll like it, Mom. If you don’t make it before I see you, I’ll make it for you when I visit. 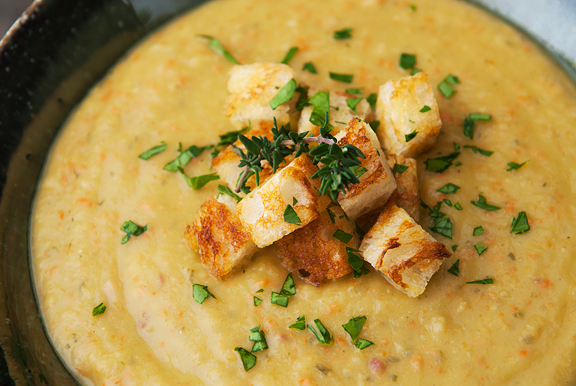 Making split pea soup in the pressure cooker is a no brainer. That’s how I’ve been making mine since last year. And homemade split pea soup tastes so much better than the canned stuff. Delicious easy! quick! it actually took alot less than 40 min for split pea to soften. I had never cooked with split pea before. I guess I will from now on!